It’s been four years since I first spotted the sugar-white sand along the Gulf of Mexico. We were attending a family destination wedding. The first destination wedding I’d ever been to. It did not disappoint and now it’s time to go back. With 27 miles of pristine beachfront and turquoise waters, it’s easy to see why Panama City Beach is a must-visit destination for any type of traveler. I say any, because there are so many options to please everyone in your family or travel party. 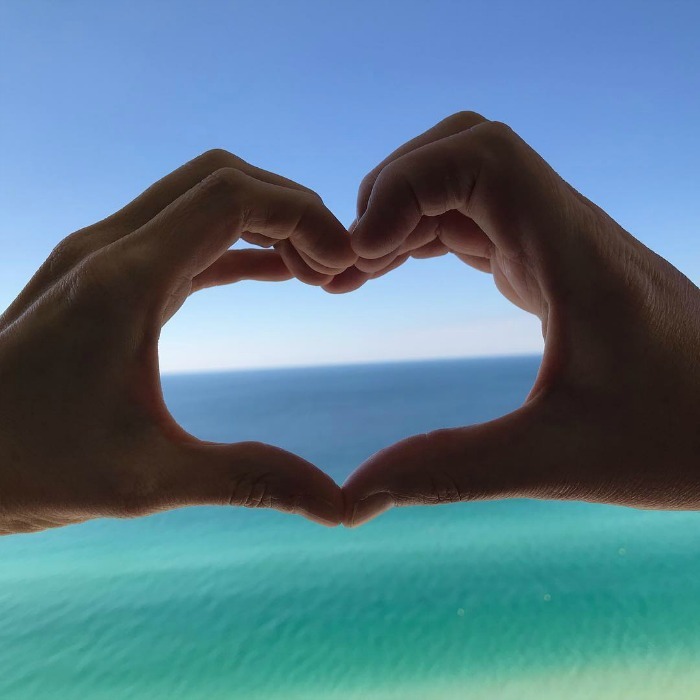 From adrenaline junkies to honeymooners, and from young families to those interested in eco-adventure, everyone finds a way with Panama City Beach to make it yours. Beach. Sand. Sun. What could be better? Get Lost in a Labyrinth – Get the whole family involved finding their way out in the Gran Maze at Coconut Creek Family Fun Park. It’s a football-field sized labyrinth, the first in America. Those who love fall corn mazes will love this summer version. Eat at Thomas Donut & Snack Shop – What’s a vacation without a healthy dose of great food. 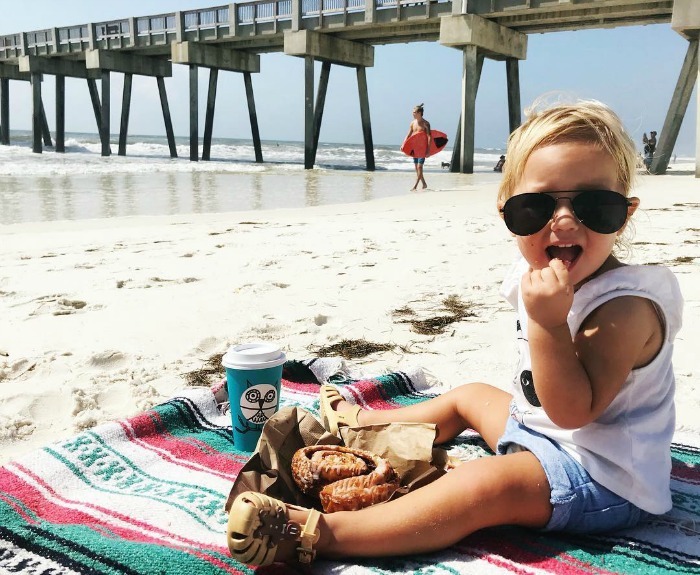 Whether you stop in for a special treat (try the Key Lime filled donut) or lunch by the beach (try the Shrimp Melt – grilled shrimp and fresh pimento cheese on toasted brioche), this casual shop will please the crowd. P.S. If you are from Texas and missing home, be sure to try the Texas-style kolaches. Mmmmm! Head to Shell Island – Enjoy time at Shell Island, which a favorite spot of locals. You can swim with the dolphins or go snorkeling in a very natural environment and away from the crowds. Book a Parasailing Excursion – There’s nothing quite like looking at paradise from above. Head to one of the sixty Adventures at Sea locations behind Panama City Beach hotels and condos and keep an eye out for dolphins and sea turtles. Book an Airboat Tour – Head off the beaten path and do something that is on my bucket list! Venture through creeks, islands, and marshes at speeds nearing mach 10. Keep an eye out for alligators. 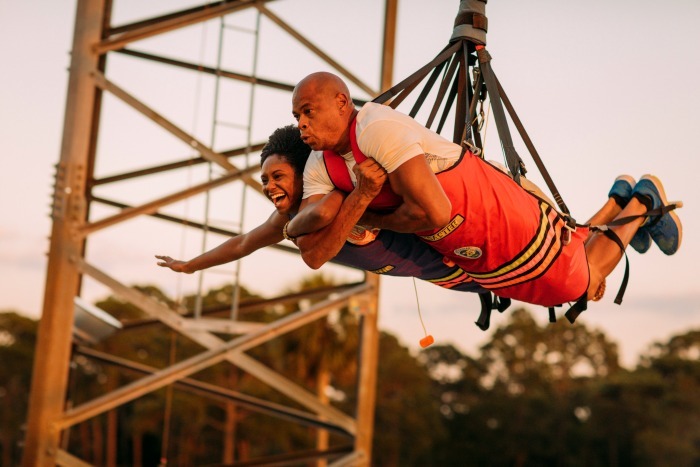 Buckle Up at Cobra Adventure Park – Ride the Max Flight Simulator, among others, billed as the “roller coaster of the future.” Or check out the Vertical Accelerator, which reaches heights of over 160 feet. 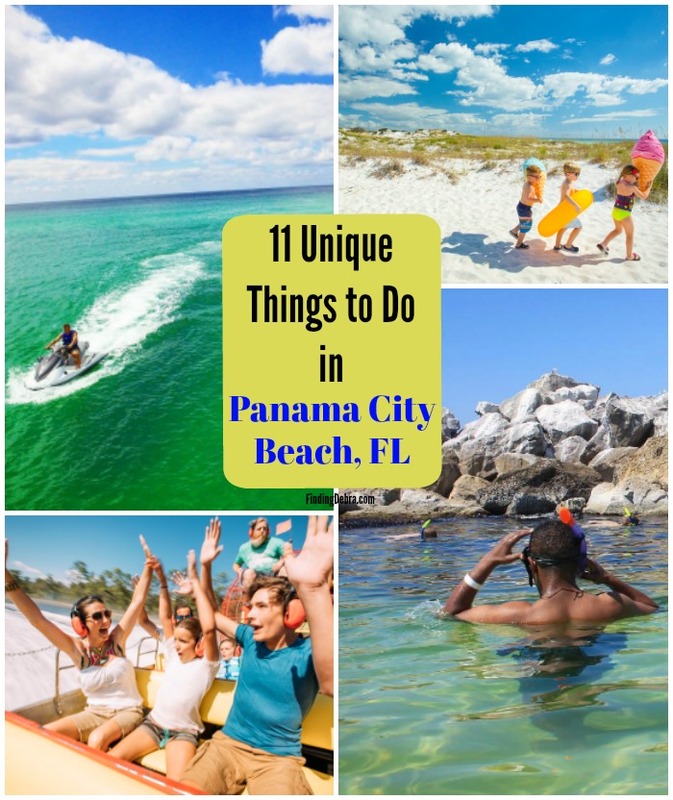 Are you ready to visit Visit Panama City Beach yet? Oh, but there’s more fun to be had! Take a Sunset Cruise – What’s more romantic than gliding through the water with a special someone while taking in a picturesque orange sunset? Book a sunset cruise through Island Time Sailing Cruises and enjoy a relaxing evening. Book a Couple’s Massage – Head to the Serenity Spa at Sheraton Bay Point Resort for a couple’s massage. A little pampering never hurt anybody, right? After your done, take views from the infinity pool, overlooking Panama City Beach’s St. Andrews Bay. Cruise the Beach on a Bike – Rent a couple of bikes from Barley’s Bike Rental and stroll along the gulf for a leisurely scenic ride along the beach. Hike through Camp Helen State Park – Enjoy a day of hiking and swimming through a variety of different ecosystems. 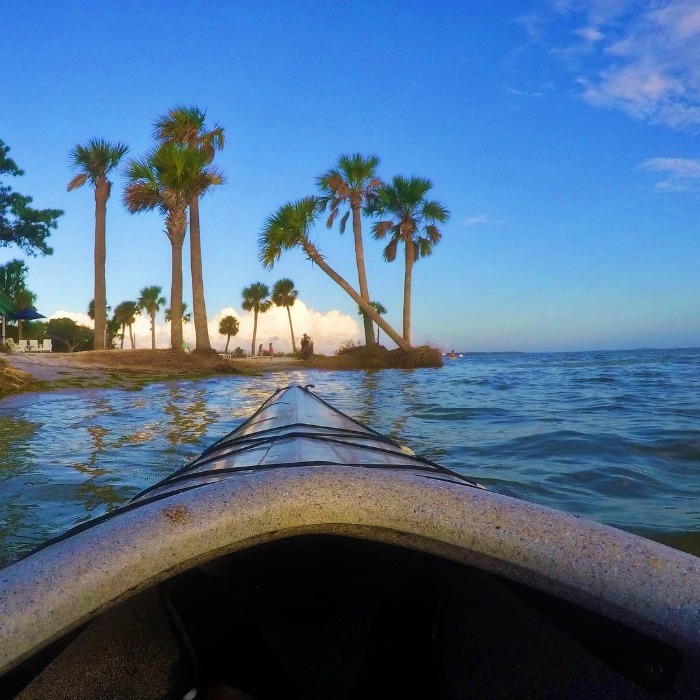 Kayak Around Shell Island – crystal clear waters around Shell Island. Head to Bay Point Water Sports where you’ll sign up for half or full day kayak tours around this 7 mile stretch of undeveloped land. What would you be most excited to do? Going for the first time this summer. These are great ideas for my family! Oh have the best time Sarah! I would not consider myself a thrill-seeker but I think parasailing at Panama City Beach could be really neat! 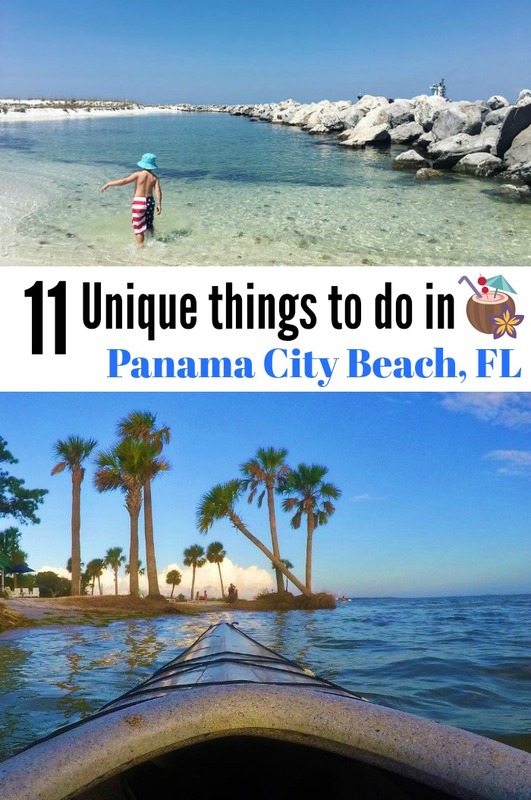 Panama City sounds like a great place to visit.